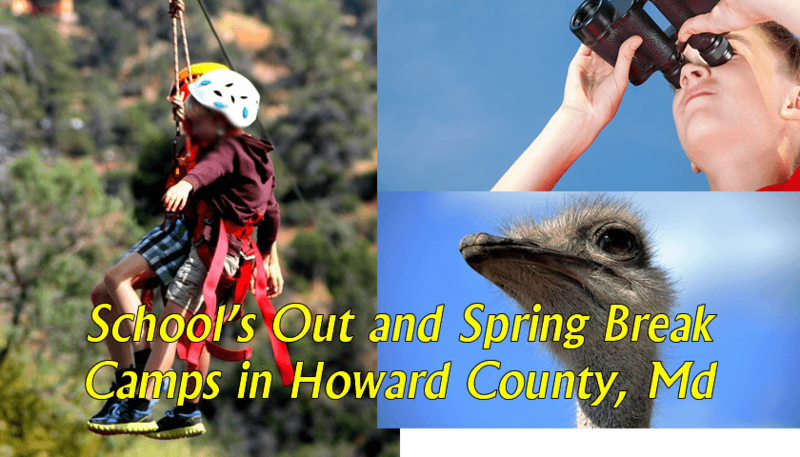 Looking for ideas for what to do with your kids when schools are closed for special days off in Howard County during the 2017 – 2018 school year? Here are a few of the organizations that I know of that can provide care and learning during days off such as spring break, fall break, teacher in-service days, and other days off during the school year. Howard County Conservancy – Great camps my kids really enjoy these. Beautiful locations in Elkridge and Woodstock. Space is available on February 16, March 30, and May 18, 2018. Club Science Kids – I love these camps and so do my kids. Great organization. Your child is going to have a great time and they will learn some STEM! Camps are located in various places including the Maryland International School in Elkridge. Camp IO – Yoga, art & science. Great combination. Great camps. Friday, Feb 16 & Monday, Feb 19, space is still available as of 1/28/18. Active Kids Camp – They have a variety of sports camps. For example, on the break for October 20, 2017, they have a reasonably priced sports camp for a few sports that seems like loads of fun! Howard County Recreation and Parks – Always a good choice. They have many choices, from sports to science. For example, here are some options for days when school is closed in February 2018. Columbia Association – CA is offering a few camps over school breaks. These vary. Please check their page for a list of upcoming “school’s out” camps. Columbia Horse Center – Spring Break is a great time to learn to ride horses. Lifetime Fitness – Lifetime Fitness in Columbia offers some worthwhile camps for days off and for summer break. Kid Museum – Outside of Howard County in Bethesda, Md, but possibly worth the trip, especially if you happen to work in Montgomery County. Kid Museum has some great offerings for camps. Brickz for Kids – Lego camp held at the Roger Carter Community Center in Ellicott City. Howard County Youth Program Basketball Camp – Boys and girls camps held at Centennial High School in Ellicott City. Drama Learning Center – Superhero drama camp. Howard County Schools – Howard County Schools may offer sports camps on days school is closed. Check their website for schedules and locations. Looking for Summer Camps? 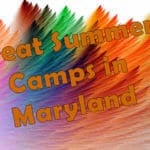 See my list of great summer camps in Howard County Md. Alot of these camps would also be great ideas for birthday party ideas. See my complete list of Howard County party ideas for kids. I also maintain a list of party ideas for Baltimore County and birthdays for Anne Arundel County. I also have a list of restaurants that are great for kids in Howard County. Help me build this list of schools out day camps. If you know of other places that offer camp during school vacations, days schools are closed, or breaks, let me know! 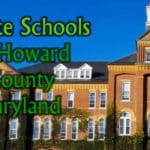 List of school's out and school break/spring break camps in Howard County Md.